Can you believe that it is almost three years since I started my #WinesOfItaly #LiveStream about Italian wine? I wanted to start a Twitter chat about Italian wine in English. I was not sure about how to practically get it going, so I asked Kelly Hungerford and Robert Moore for advice on how to proceed. They both told me that I should go for live streaming, that it would be the new trend. Those were the days of Blab.im. I took their advice and it was the best advice ever. 🙂 Indeed, live video has just become more and more important. Three years later, I still have my focus on smaller producers and lesser known areas or grape varieties in Italy. I am very grateful for all of you who have supported me and followed and participated in my live streams. Without you, it would never have worked. Thank you also to Lynn Gowdy and Tina Morey (from #Winestudio) who sometimes have jumped in as co-hosts to help out. After three years, it is time for a change, right? During the last few months, I haven’t gone live with #WinesOfItaly #LiveStream every week as before due to a busier wine travel schedule. In part, it is also due to the preparations for a new wine collaboration coming up with Tina Morey at #Winestudio Twitter chat. She is a certified sommelier that has a long experience in the food and wine industry. 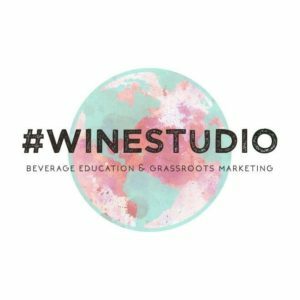 She has been running #Winestudio wine education successfully on Twitter for over 4 years. 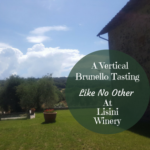 Our first guest in this collaborative initiative starting on July 3rd will be Montefioralle Winery that is located close to Greve in Chianti in Tuscany. They are a small family-run winery celebrating #50harvests this year. Join us on Facebook on WinesOfItaly LiveStream FB page at 21.00CEST/3pmET and follow the hashtag #Winestudio on Twitter at 3.30pmET/21.30CEST on July 3rd. When I first had a call with Tina Morey, it all felt right from the beginning and we decided to start collaborating. This was quite some time ago, we have both been busy along the way but next week we will launch it all with a first guest together. 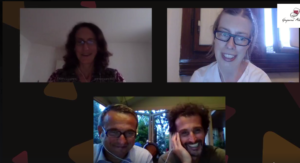 This all means that we will choose guests together and then they will have the opportunity to be on #WinesOfItaly #LiveStream and #Winestudio Twitter chat. In that way, we can take the wine education on Italian wine to another level. The wine producer guest will be on #WinesOfItaly #LiveStream 21.00CEST / 3pmET as usual where we in a relaxed manner will talk with the guest about their winery, area, wines from different angles. A set of questions will be fixed beforehand by us for each live stream. This will be a way for the producer to show his/her face to our audience and really humanize the contact with the followers and fans. I believe this will then make the #Winestudio Twitter chat even more powerful. In the live stream, you will have a chance to ask questions directly to the producer and even jump into the live show if you want to talk to us. Wherever you are watching from in the world, you will feel like you are right in Italy with us. In the Twitter chat, under guidance by Tina, we will go more in-depth on the wines and other topics. 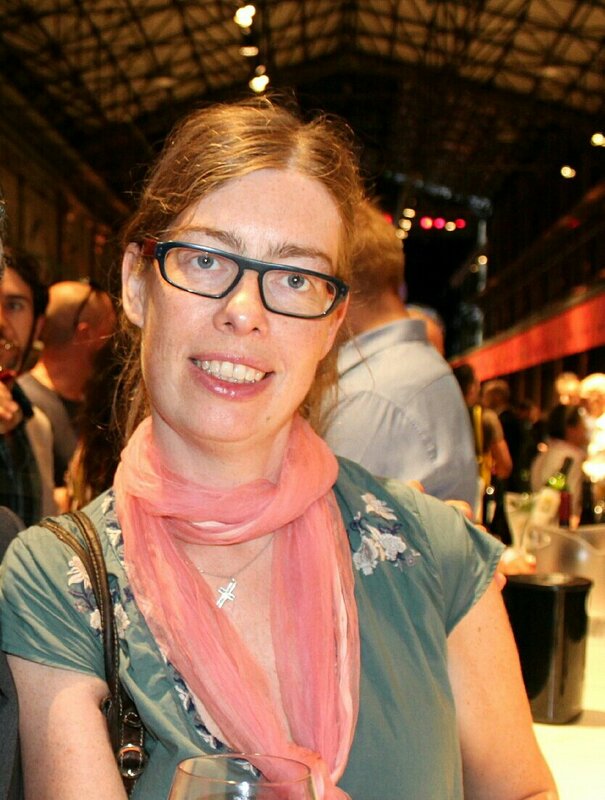 Tina will lead the discussion in the #Winestudio Twitter chat, where wine writers, sommeliers, and wine professionals can learn about the Italian winery and share this knowledge with others in their field. The winery, on the other hand, will be able to present their winery, area, and wines to an audience in the field in the US mainly. Tina has a group of core participants every week in the #Winestudio Twitter chat who will receive the wines beforehand to be able to have a constructive discourse. It all becomes very interactive. 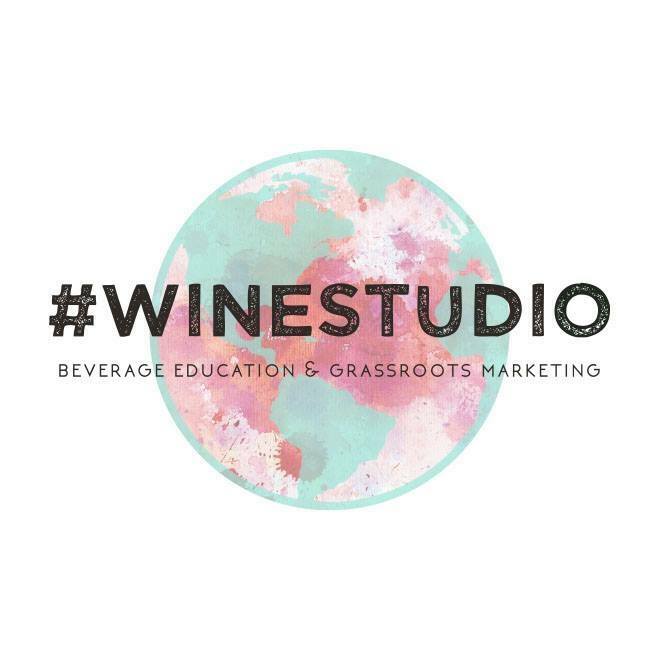 We will promote #WinesOfItaly and #Winestudio starting some weeks before giving you visibility on our social media channels. 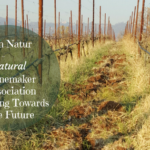 It provides a grassroots marketing strategy that can be gold for you as a winery. As I mentioned earlier, our first guest will be Montefioralle Winery in Tuscany on Tuesday, 3rd and 10th July. The Sieni family are running the winery since 50 years back though they only own the winery since the mid-1990s. 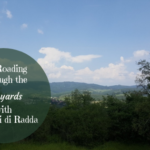 This because the winery vineyards used to belong to the local Montefioralle parish before. Montefioralle is a medieval hamlet located on a small hill just a few steps from Greve in Chianti. They produce Chianti Classico wines, an IGT (Supertuscan style though they do not like to use that ‘created’ word), and Vin Santo. We will dive into and learn more about their Chianti Classico 2015, Chianti Classico Riserva 2014, and Vin Santo 2014. They will celebrate their #50harvests with different events on- and offline during the next few months and we will talk more about this also on #WinesOfItaly and #Winestudio. They are sharing memories from harvests past with their fans and followers. So far they have posted two short videos where Fernando, Alessia, Lorenzo, and some of Fernando’s friends share memories from the harvests together. 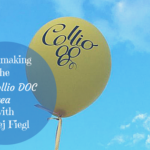 Watch the videos Gli amici and A tavola! 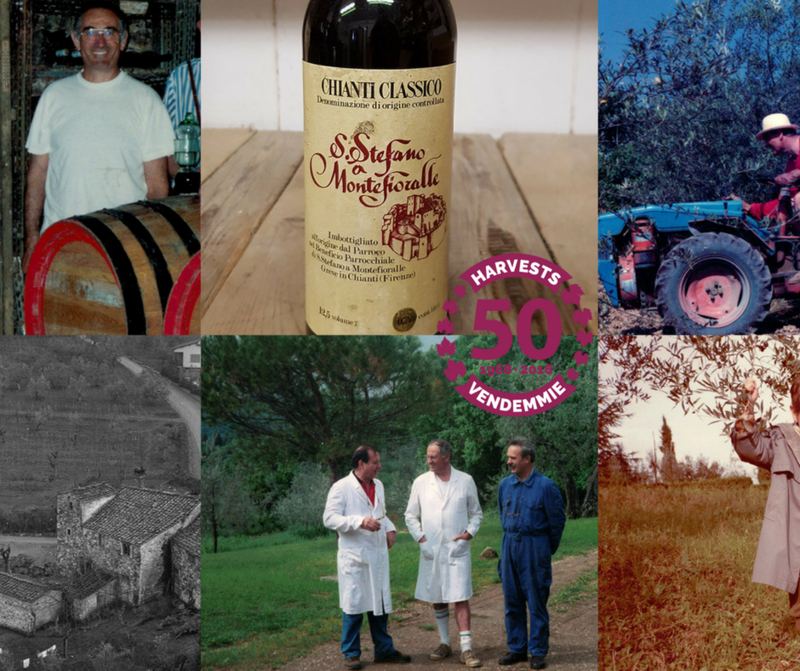 Read more about Montefioralle and their festivities to celebrate #50harvests here. 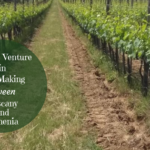 We hope you will join us in this our new collaborative venture and, especially, to learn more about Montefioralle winery that is our first guest.